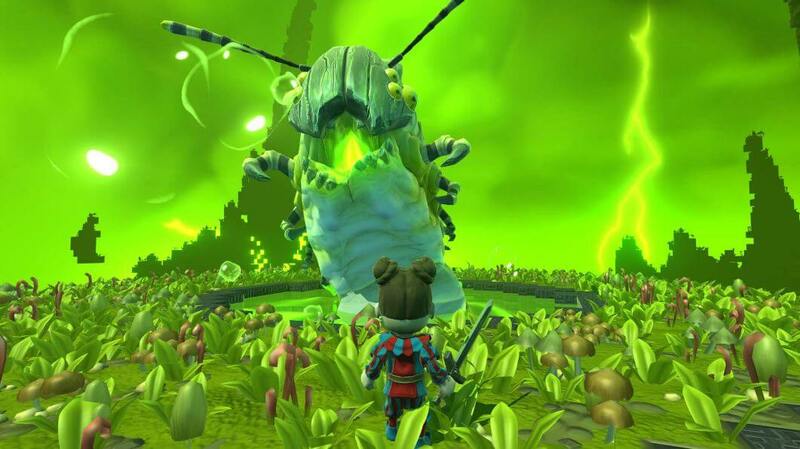 Portal Knights is a fantasy action-adventure RPG like no other. Though you’ve probably read the very same sentence in other reviews, we mean it. 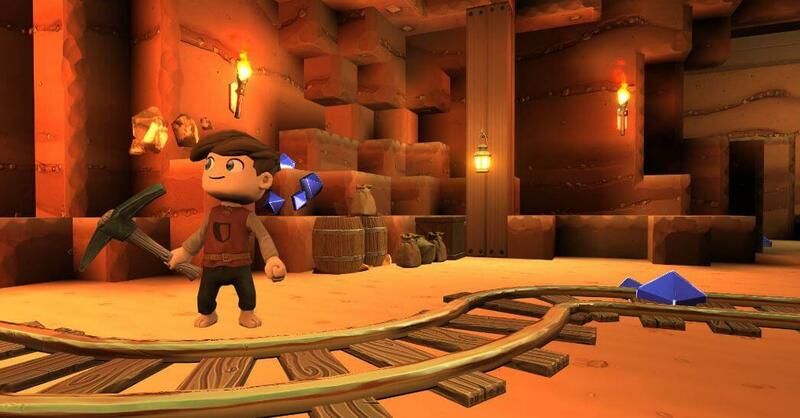 The game is a steady mix of Minecraft and a third-person RPG. It is both a multiplayer and singleplayer experience that promises many hours of gameplay with a decent story to boot. The game is a cool blend of a linear RPG with sandbox and open world elements ripe for adventure. Imagine a world where places were divided into fractures of space and time. As one of the Portal Knights, you’re tasked to repair these fractures and bring normalcy to the world. Progressing through the story and visiting various locations requires you to rebuild/repair these portals. Unfortunately, the developers failed to build on the story. The narrative gets lost in the sandbox and adventure-oriented gameplay It wouldn’t be surprising that you’ve forgotten what the end goal is and be perfectly content in exploring, building, and fighting. 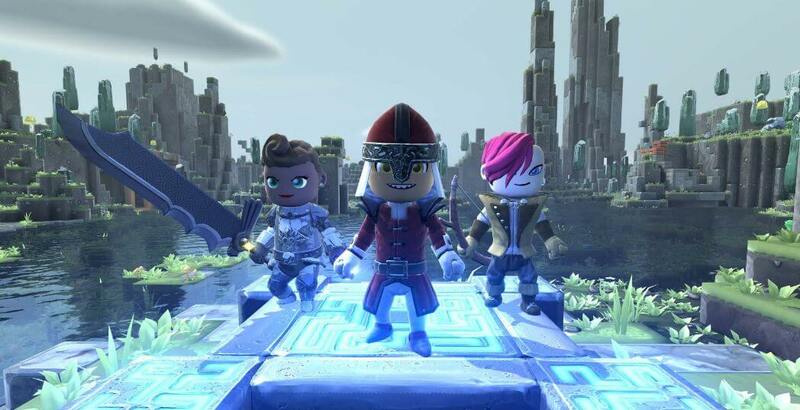 There are several character classes in Portal Knights. These are the Warrior, which is a close-ranged melee fighter, Mage, which is a spell-caster, and Ranger, which is a long distance bow user. There’s a vast selection of customization options, enabling you to make your character look different from others around the world. Once you’ve created a character, the game creates a universe and spawns dozens of islands for you to explore. Each island is procedurally-generated, each with its own set of NPCs, monsters, landscapes, and biomes. It also has its own set of enemies and of course, portals. 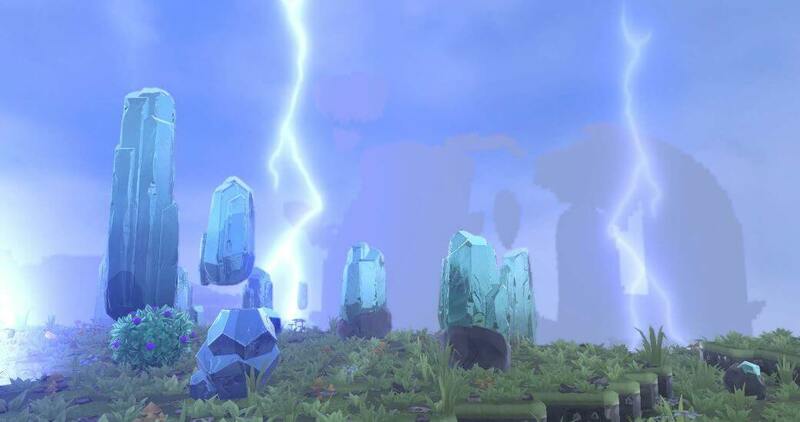 Repairing these portals is a must if you want to progress or visit the next islands. Personally, it took me a while to get used to Portal Knights’ controls. I mainly played as a ranger, and it took at least two hours to make everything from moving, attacking, and building second nature. It’s not a hard game by any means and it is newbie friendly, but for some reason, I inexplicably found its controls more difficult to get a hang of than other games like God of War, and even something as complicated as Fortnite. Battling monsters, ranging from stone elementals, cute insects, and lumbering bosses, reminded me of 2017’s best game, Zelda: Breath of the Wild and Zelda: Ocarina of Time. 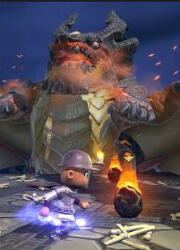 However, the combat isn’t as deep as both of those games and mostly involves the typical hitting, dodging, and running. Possible attacks are varied though, ranging from sworld slashes, arrow strikes, and even fireballs if you’re using a mage. Beating monsters and performing quests lets you level up, enabling you to strengthen your character by spending attribute points. Apart from adventuring across different islands, you’ll also have the opportunity to build your own base, home, or castle. Depending on the spawned islands, you’ll have a rich selection of where to put up your own home. You can opt to create a house on the middle of a peaceful plain, or create a stone castle on top of an active volcano. However, building requires a significant amount of time on your part. 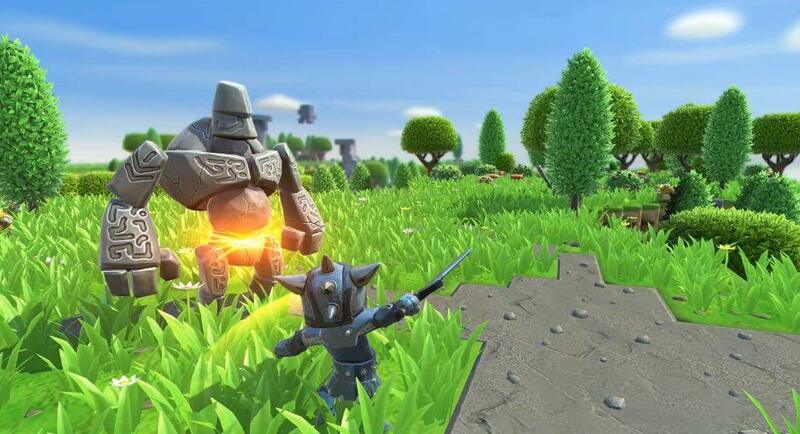 Portal Knights has a robust online community both on its website forums and Reddit. If you have friends who own the game, you can easily join in with them, explore, and fight monsters together. You can also opt to go for a split-screen couch co-op if you have an extra Dualshock 4 controller. The split-screen couch co-op is great feature and a throwback to the past era. 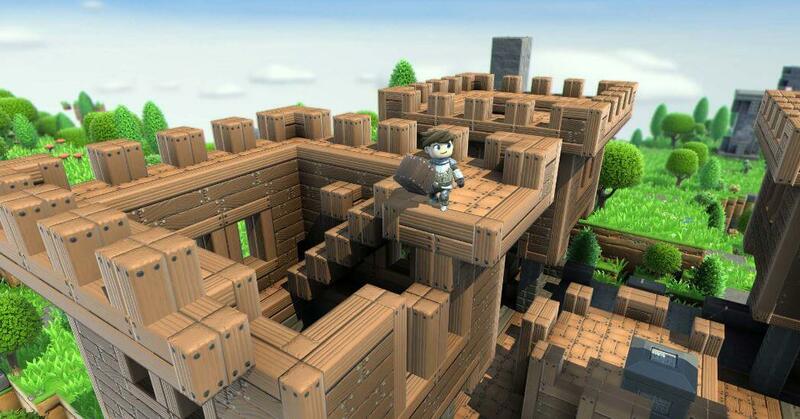 In terms of presentation Portal Knights is more of a refined version of Minecraft. The textures, while not exactly detailed, are a joy to look at. The scenery on and around the islands provide a small sense of wonder. The sound direction is satisfactory enough, though it’s not as immersive compared to other titles. Overall, the game’s presentation holds up to the larger and more notable games of this generation. 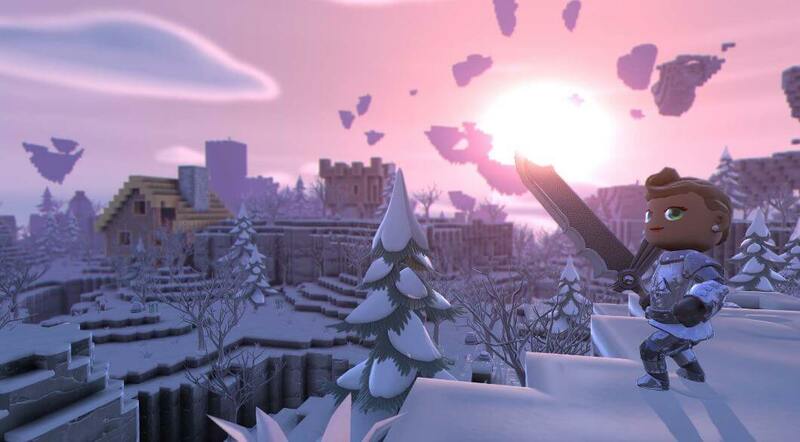 Overall, Portal Knights is a must-download for every PlayStation Plus subscriber. Its unique blend of sandbox, adventure, and RPG is a joy to play, and you’ll be treated to an fantastic experience. Apart from its story mode, its vast world and gameplay mechanics will keep you logged in and playing. There are many monsters to fight, items to craft, and buildings to put up. It isn’t as deep or immersive as most of its rivals, but it’s well worth the dozens of hours you’ll possibly put up on. 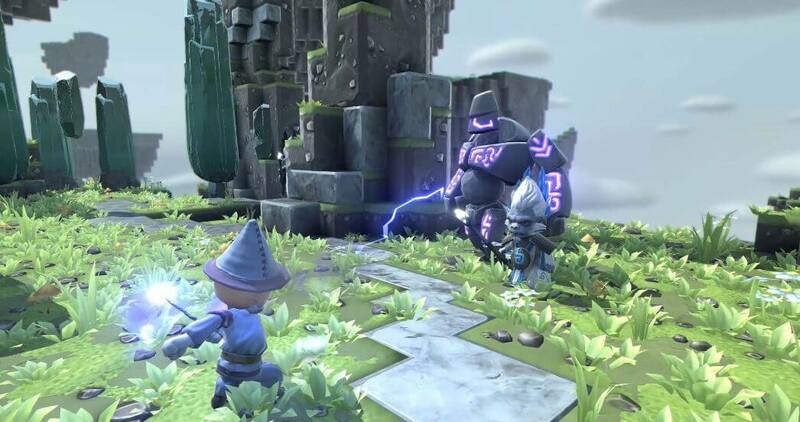 by Mikhail Feb 7, 2019 Portal Knights is a fantasy action-adventure RPG. You play as a portal knight, tasked with repairing broken portals that connect the islands in its vast world. 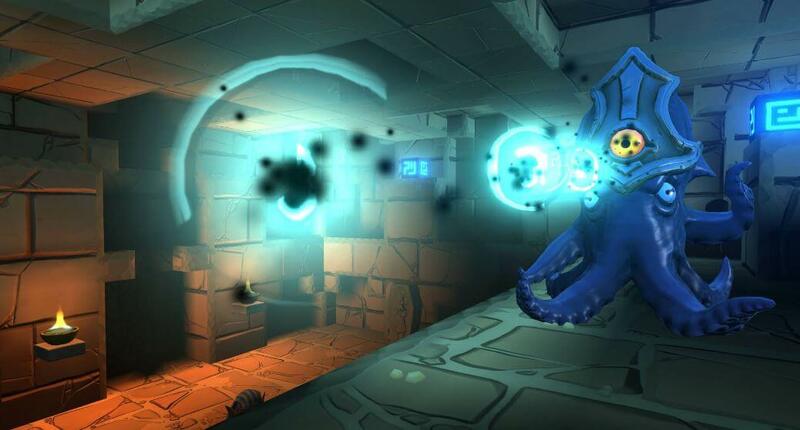 You’ll encounter monsters and explore large and varied environments. Choose from three different classes and play alone or with your friends! Read More Be the First to Post a Review!